After a short tease at the end of 2018, Louis Vuitton has shared full details for its upgraded Wear OS watch, the Tambour Horizon. The new model will be available in polished steel, matte black PVD, white ceramic, white ceramic with gem-set horns, and matte brown PVD. The case is unisex at 42.9mm, so choosing is as simple as deciding which finish and color you like best. 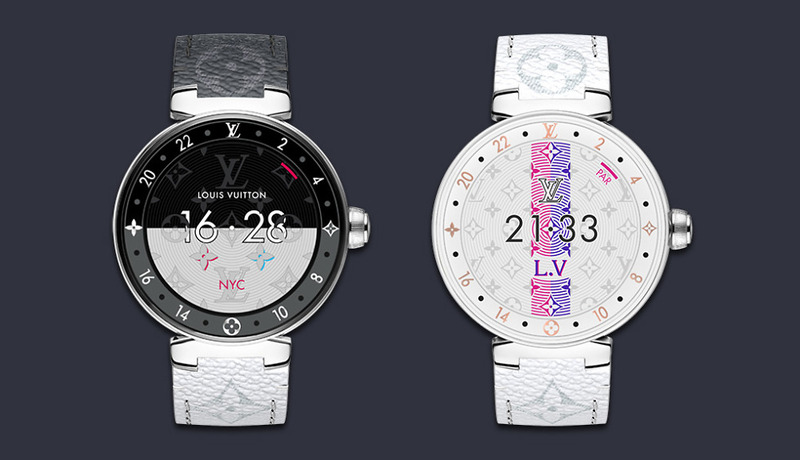 Within the software, LV has included special watch faces and apps to count steps as you cruise the globe, inform you of the air quality, and keep up with your travel plans. 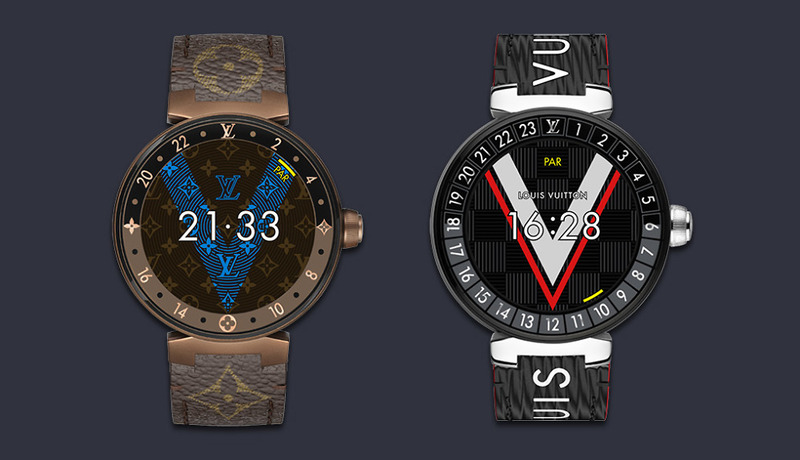 There are additional “special” watch faces that are new too that are exclusives, designed with the Louis Vuitton Studios. For specs, the new Tambour Horizon has almost everything you could ask for in a Wear OS watch at the moment. You have a 1.2″ full round AMOLED display (390×390, 327ppi), 1GB RAM, 8GB storage, NFC for Google Pay, Snapdragon Wear 3100 chipset, 30 meter water resistance, 300mAh battery, rotating crown, and nicely sized 42.9mm case. There isn’t a heartrate monitor, though, plus Louis Vuitton uses some sort of patented strap system, so you may not be able to slap on any old watch strap should you decide to buy one. We’re still waiting for confirmation on pricing and a launch date. 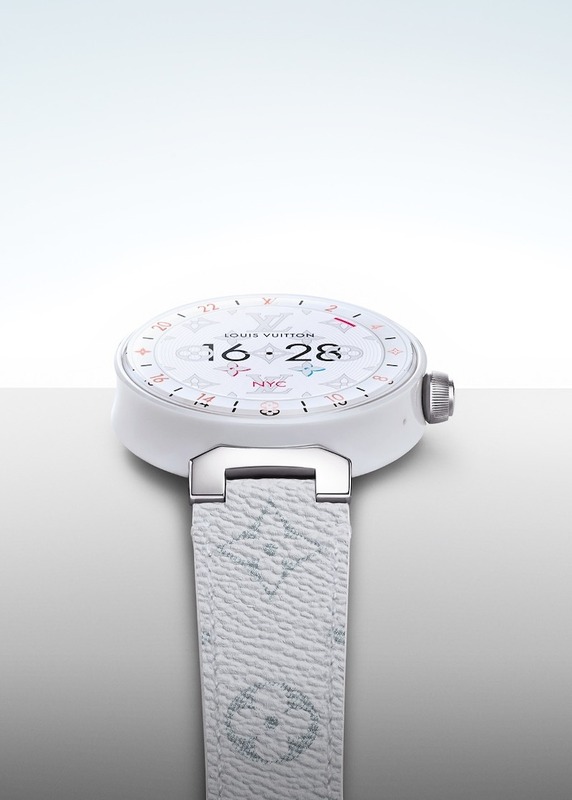 UPDATE: For pricing, the new Louis Vuitton Tambour Horizon starts at $2,250 and tops out at $8,500. You can shop the new collection here.